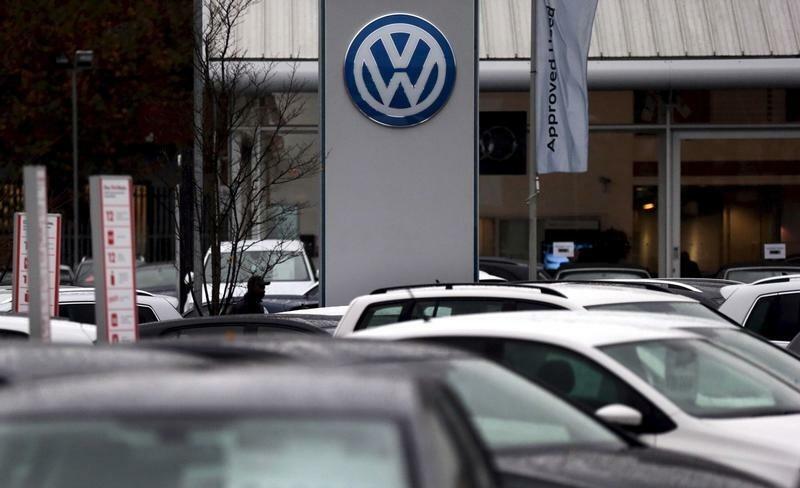 BRUSSELS (Reuters) - Europe's Industry Commissioner has written to the chief executive of Volkswagen (VOWG_p.DE) asking for detailed information on cars affected by the emissions scandal and calling for Europeans to be compensated in the same way as U.S. customers. The letter to Matthias Mueller, dated Jan. 15 and seen by Reuters, asks for the precise number of affected vehicles per member state and technical details on "corrective measures". Industry Commissioner Elzbieta Bienkowska wants information on recall action in each EU country and an explanation of the probable impact on nitrogen oxide (NOx) emissions per kilometer. Volkswagen's financial liabilities from the scandal have so far looked much bigger in the United States where the Environmental Protection Agency has greater scope to impose penalties than the European Commission, although the Commission is about to propose a draft law that would enhance its powers if adopted. Volkswagen Group of America has promised goodwill compensation to tens of thousands of vehicle owners. Bienkowska's letter demands comparable compensation for European consumers. The German carmaker, which has been embroiled in crisis since last September, when it admitted it had cheated U.S. emissions tests using software known as "defeat devices". It has said 11 million vehicles worldwide contain the affected software, 8.5 million of which are in Europe. "I would like to ask you to reconsider your stance regarding compensation and reflect on the ways to offer compensation also to the European consumers," Bienkowsksa says. "The issue of compensation goes beyond the difference in the legal set-up between the U.S. and the EU and plays a fundamental role in viewing VW as a responsible and trustworthy company," she writes. The Commission wants to know what impact this will have on levels of nitrogen oxide as it seeks to tackle the problem of member states breaching official limits on the pollutant that can cause lung disease and premature death. It also asks for information on what VW is doing to recall vehicles across the 28-member European Union and how it will ensure consumers comply with recalls. Correspondence has been back and forth between the Commission and Volkswagen since the emissions crisis erupted in September. Volkswagen has repeatedly asked the Commision for more time and Chief Executive Mueller will meet Bienkowska in Brussels on Thursday. The Commission says it is working to strengthen the European regulatory regime to prevent a repeat of the VW emissions scandal. At the end of this month, it is expected to announce a proposal to give the Commission powers to recall vehicles found in breach of EU emissions standards and fine those responsible. Until now the power has been in the hands of member states. For instance, the German vehicle approval authority is responsible for recalling VW vehicles that it approved. Many members of the European Parliament say there is a clear conflict of interest and support Commission plans for a more independent system. They predict, however, there will be tough resistance from member states, some in the European Parliament and the vehicle industry to the proposed draft law, which could mean it is diluted during the lengthy EU legislative process.